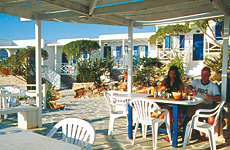 Iraklia is the first stop south of Naxos. It has a quiet harbour at Ag. 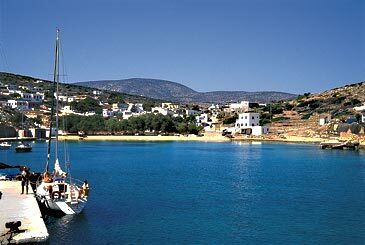 Georgios with a long sandy beach allowing you to view the shipping without moving a muscle. 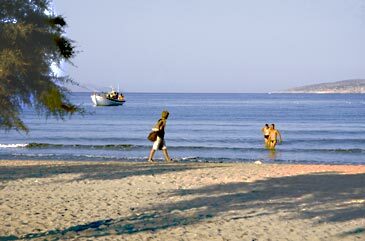 Two kilometres out of town at Levadia is the island’s main beach, a long stretch of good sand lapped by the sheltered waters of the straits between here and Schoinoussa and backed by the statutory taverna. 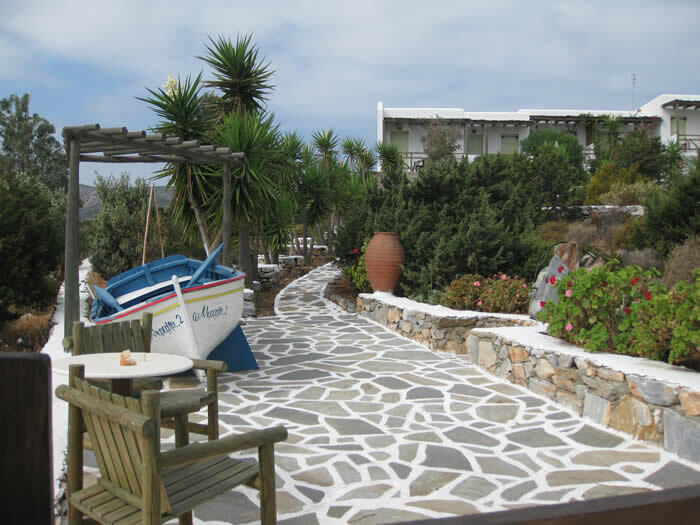 The beach is overlooked, after a 10-minute uphill stroll, by Zographos Rooms, a small cluster of studios with a stunning panorama over the beach and on eastwards down the archipelago – breathtaking at sunrise (if you have an alarm clock). 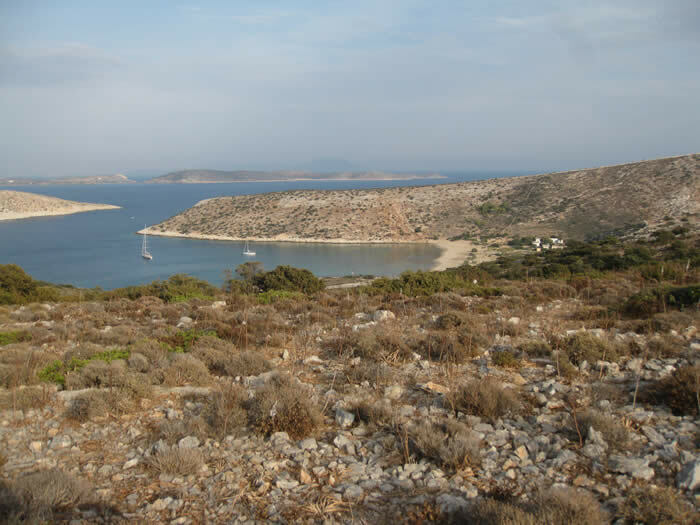 Another 15 minute walk up the island’s one road brings you to a charming little chora, whence a path will lead you to the island’s famous cave (enter on hands and knees and take a torch) and a monastery. 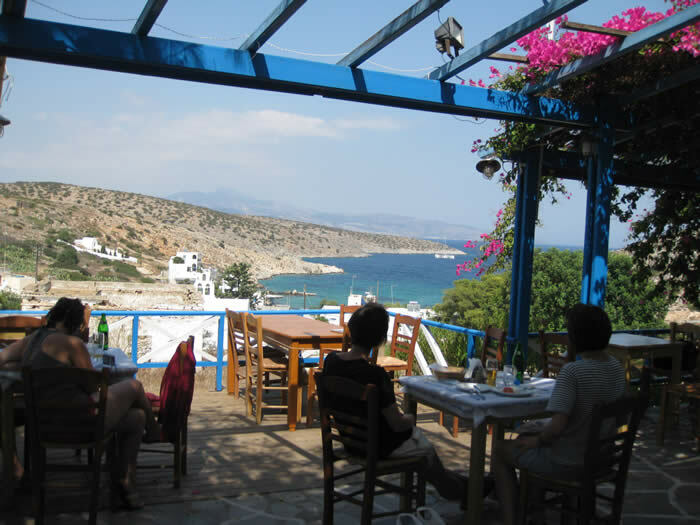 Chora has a friendly taverna where you can stop for a drink, lunch or even dinner, after which it’s downhill all the way home. 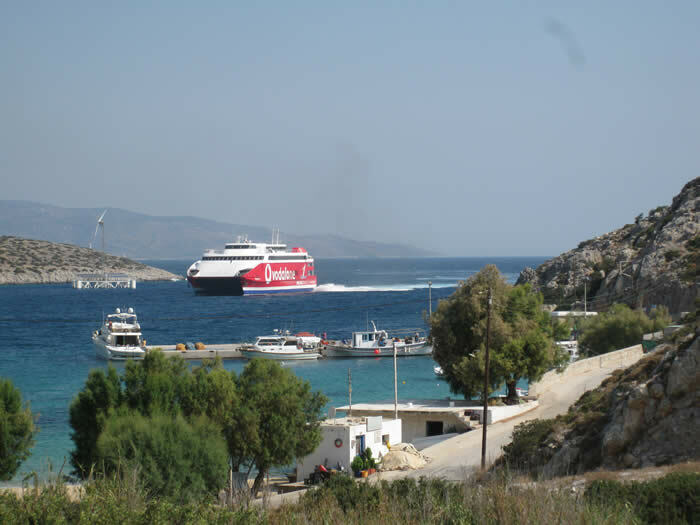 In the main season you can, with careful perusal of the schedules, expect to be able to reach Amorgos – and possibly Schoinoussa or Koufonissia – for a day away. These spacious rooms, with their magical view, are set in a garden with a pond and fountain (no gnomes) and a splendid communal barbecue with wooden gazebo if you feel like rustling up an al fresco meal. Air-con; free wifi; fridge, kettle, coffee machine, hair-dryer. B&B. 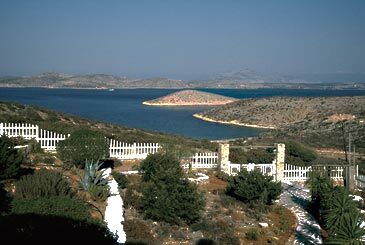 For those wanting to be in a 'real' Greek village the little port of Ag. Georgios is hard to beat. 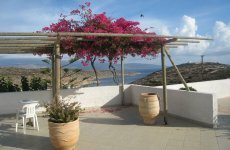 Anna's Place is up a short hill behind the harbour and the vast communal terrace offers splendid views across to Naxos and Paros. Superior studios share a rambling garden area and a communal barbecue and kitchen. Anna will pick you up from the boat in her minibus and is always on hand with advice. A surprising number of tavernas are within a few minutes from the gate.